Iran’s laws fail to sufficiently protect women’s rights in family issues including marriage and divorce, said an Iranian lawmaker. 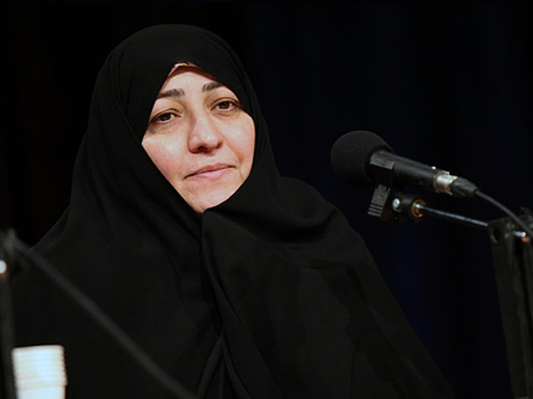 In Islamic jurisprudence, men have the right to divorce women, a member of Iran’s Parliament Soheila Jelodarzadeh said. This is while, previously, it was approved in the Iranian Parliament that in certain cases, such as men having sexual affairs or addiction, women have the right to divorce, she said, according to a Farsi report by ICANA. Although women constitute about half of Iran’s population, they have been treated mercilessly in different periods of time. Some Iranian lawmakers hold that women are the most innocent stratum of the society in judicial courts. They also maintain that to improve women’s conditions, certain laws need to be revised — a process in which jurists should be pioneers. They also believe that Iran’s entire body of laws concerning women and family needs to undergo an extensive modification. Jelodarzadeh stressed that Iranian laws fail to adequately support women in family cases and issues. She noted that women are the most helpless people in judicial and legal courts. Some Iranian laws pertaining to women and family issues, such as paying blood money and divorce right, have already been amended, she said, expressing regret over the fact that Iranian women do not fully know about their own rights when signing their marriage certificate. Referring to early marriages in Iran, Jelodarzadeh noted that such marriages are due to some people’s poor culture. “Previously, a ban on early marriages was proposed in the Iranian Parliament. Despite the emphasis on certain requirements prior to the marriage, such as a physician’s corroboration of girls’ physical and psychological puberty, violations have been reported in this regard. In some cases, child marriages have been registered,” she added.